Amazingly, Lodi, CA, was not originally on our itinerary; we had overlooked this dynamic grape-growing region for the big, bad Napa/Sonoma region until a wine-maker in Arizona told us we that if we truly loved Zinfandel, that we HAD to stop in Lodi… so we did. Wonderful Lodi, tucked in between the Pacific Coast and the Sierra Nevada Mountains, enjoys a Mediterranean climate of warm, dry summers and cool, moist winters, with sandy-clay soils… which many grape varietals seem to love, but especially Zinfandel. 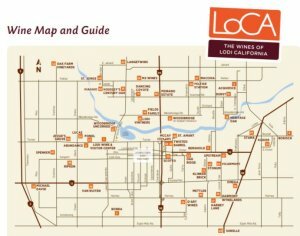 Lodi is the Zin capital of the world, producing more than 32 percent of California’s premium Zinfandel wines. In total, more than 110,000 acres are planted with grapes — with almost 24,000 certified green. You know you are in wine country when you check in to your RV park and they have several large displays of wine in their offices. So what do you do when you arrive early in the day in wine country? Well, Jen and I jumped on our bikes and hit two wineries during a 9-mile bike ride. The first, Michael David Winery (home of the infamous 7 Deadly Zins), was a dud; we had an uniformed hostess, and the wines were just so-so. Next up was Van Ruiten Family Winery, which was much more intimate, the personnel much more informed and friendly, and the wine quite wonderful. We bought four bottles — and, yes, left them there until we came back later in our truck! We finished the first day of tasting at Oak Ridge Winery (home of ORV, Old Soul, and other well-known Zins). While the wine was decent, the experience was made special because of a couple we met while tasting there — Denise and Kevin — who ended up buying us a bottle exclusive to wine club members. On their recommendation, we traveled to Harney Lane Winery, which we found pleasant, but unexciting… We then ventured to Mettler Family Vineyards, which was a major dud (both for the wines and especially the customer service), but they get major kudos for sending us on to Klinker Brick Winery, where we had the best tasting experience — and the best wines. 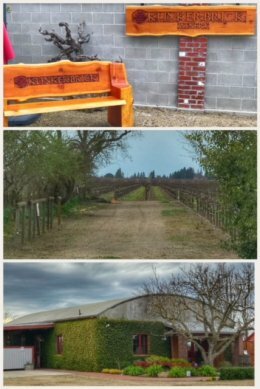 Klinker Brick grows Zins, Cabernets, and Syrahs. Steve and Lori Felten, fifth generation grape growers in the Lodi region, continue the tradition of cultivating “Old Vine” Zinfandel vineyards that their ancestors planted in the early 1900’s. With roots in Germany, Russia, and later the Dakotas, the family settled in Lodi, first producing watermelons, before planting Zinfandel vines. Definitely taste their Zins, Syrahs, and red blends… we left with more than a case of wine. Lodi did NOT disappoint. 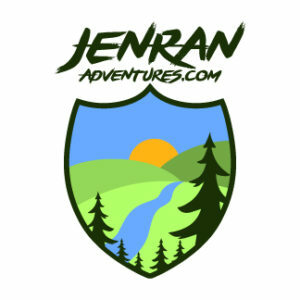 It is most certainly a very worthy stop on any California wine adventure, along the likes of Paso Robles and Temecula. 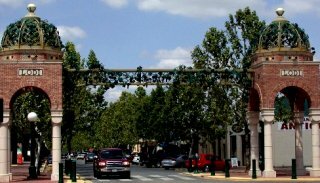 The area is home to many fine wineries, and the streets are relatively uncrowded. Plus, the wineries offer relatively inexpensive tastings. If you like Zins — and crowds — visit in May for the annual Zinfest at Lodi Lake.